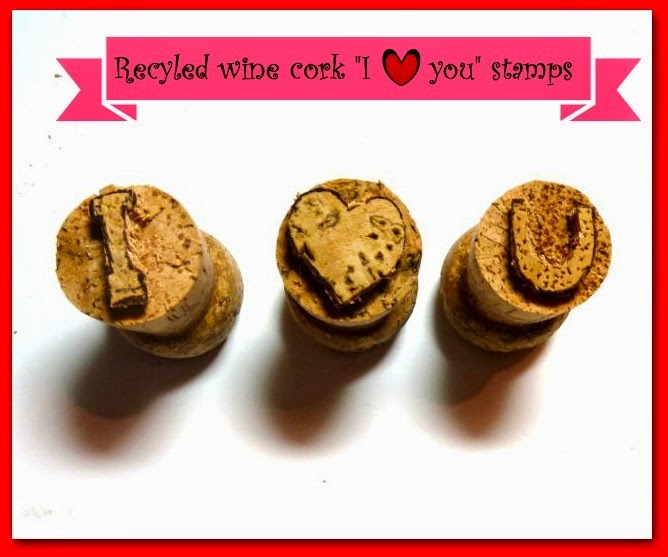 If you have some wine, champagne or sparkling wine corks lying around why not recycle them into wine cork “I love you” stamps for Valentine’s Day? It’s quick and easy and they have a myriad of creative uses! 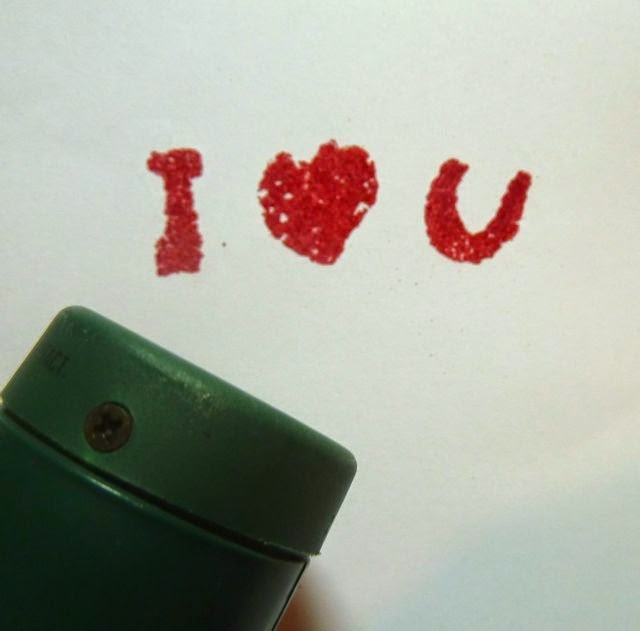 Use them to stamp your envelopes for Valentine’s Day. 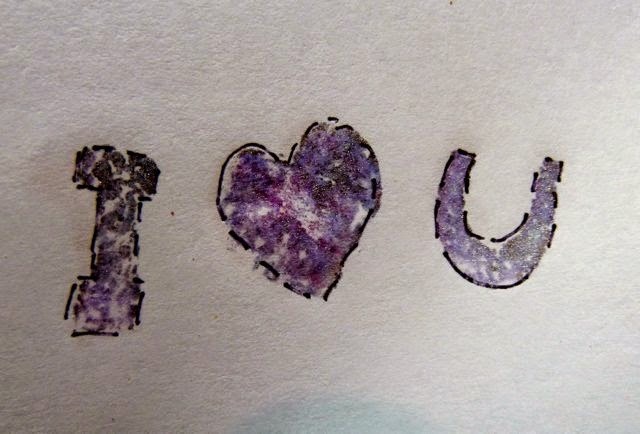 You can surprise the kids by stamping their lunch bags. 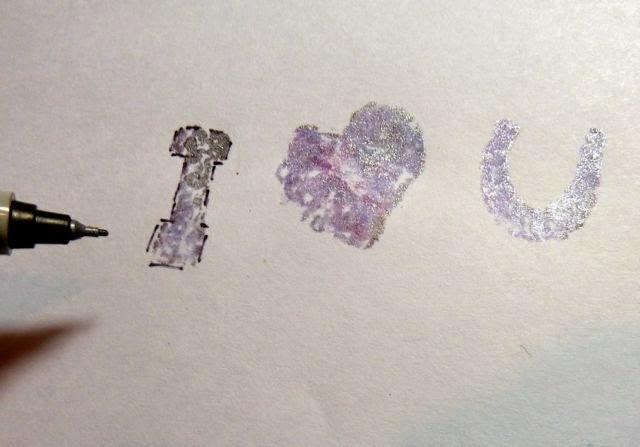 And if you are really creative you can even make some letters for stamping monograms. How about a star for schoolwork? 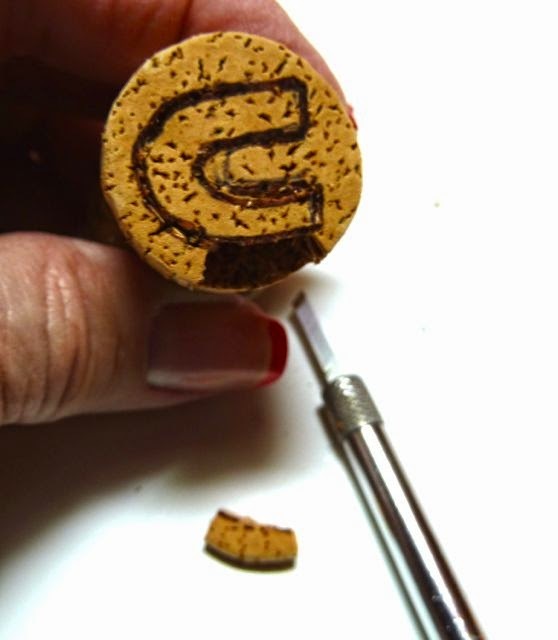 Since the stamp surface is cork, they have a textured look when stamped. 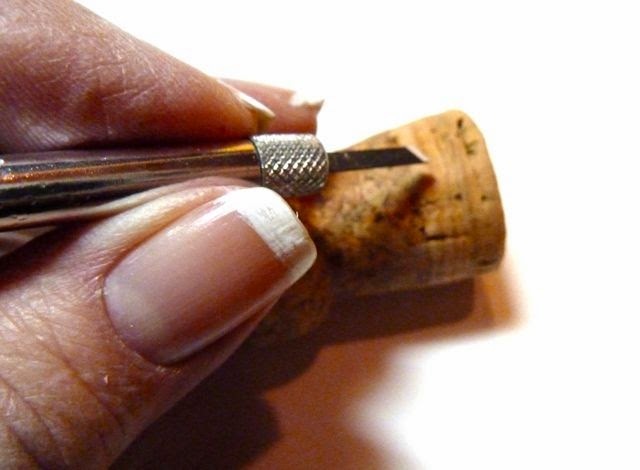 · X-acto knife or craft knife. 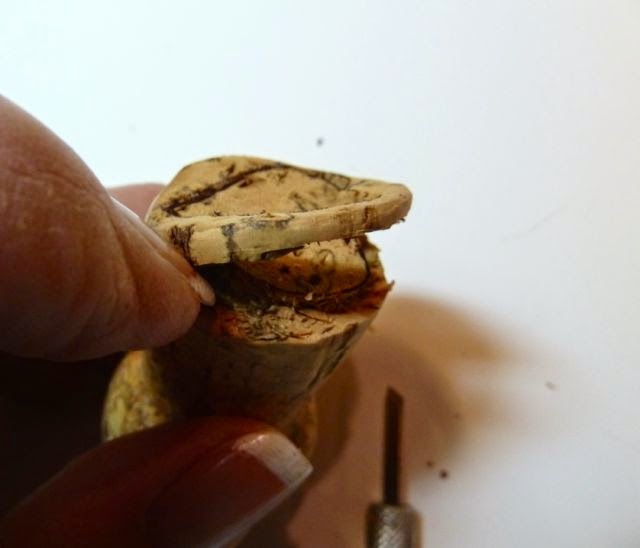 You can get narrow blades for the X-acto, which makes it easier to cut around. 1. 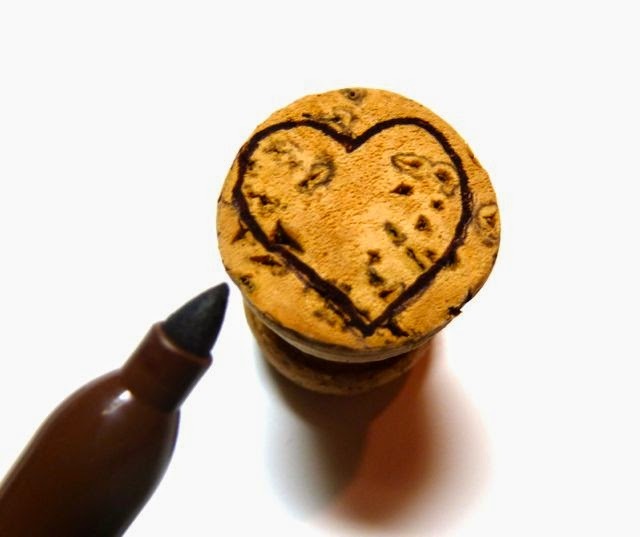 Draw your letter and/or heart shape on the end of the cork. 2. 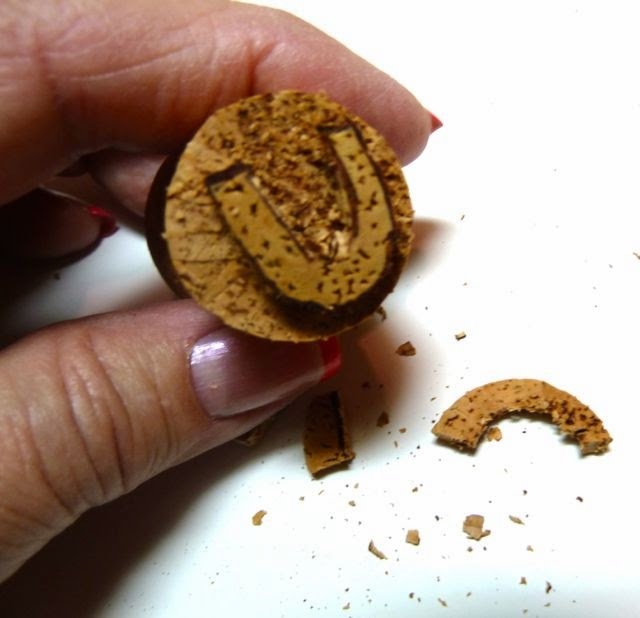 Use a craft knife to carefully outline the letter or shape all around about 1/8” deep. Use short in and out cuts. 3. 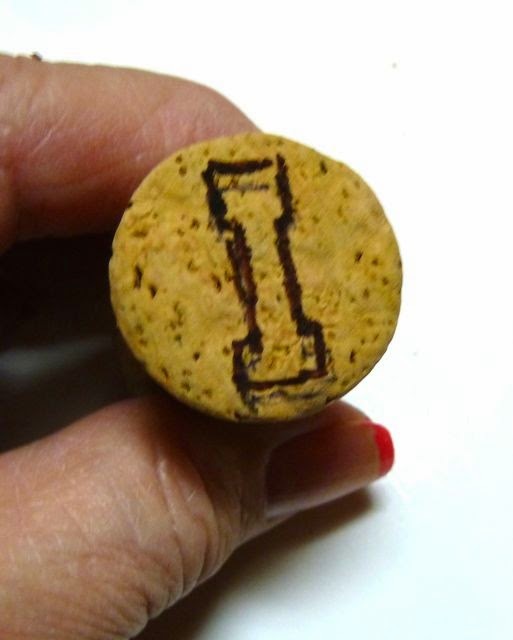 Turn the cork on its side and cut all around about 1/8” deep. 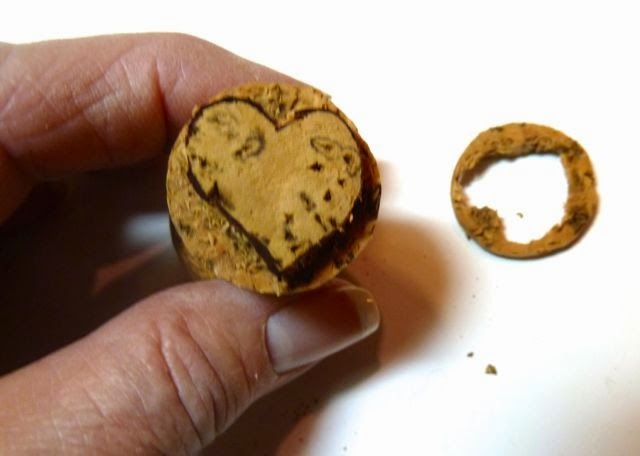 Remove the cork from around the heart. 4. 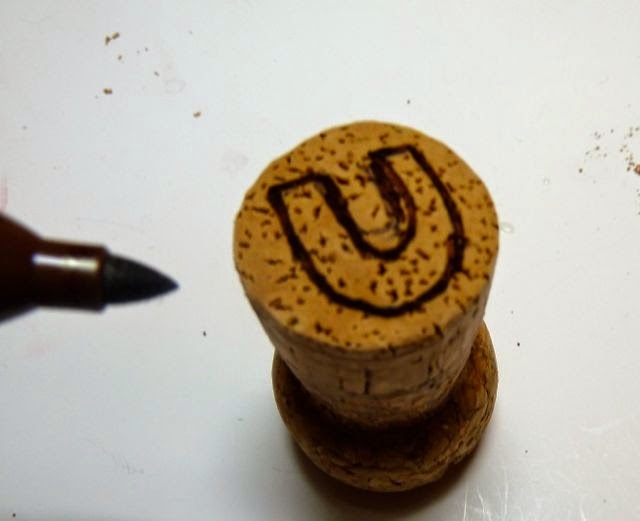 Working back on the end of the cork where you cut around the letter, use the craft knife to cut out small sections and remove. 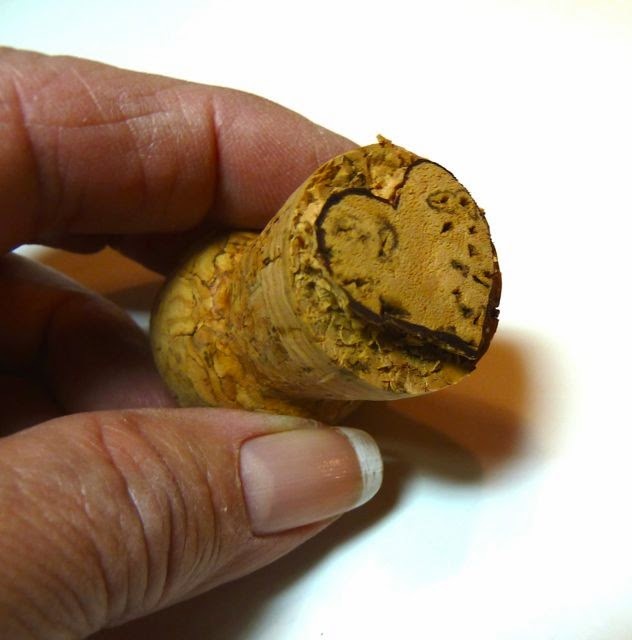 When you have finished clean up any excess cork with the craft knife. 5. 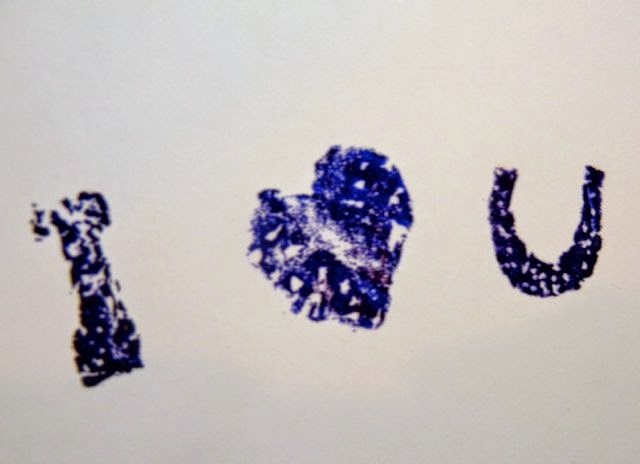 Have fun stamping. 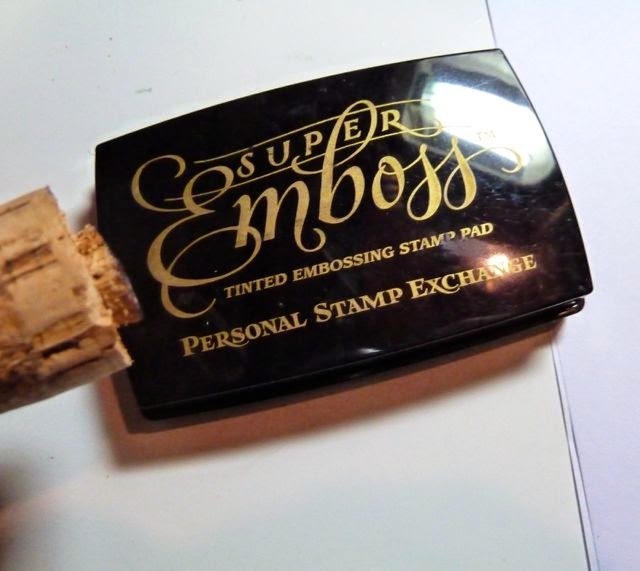 You can use regular stamp pads in the color of your choice or an embossing pad and embossing powder. 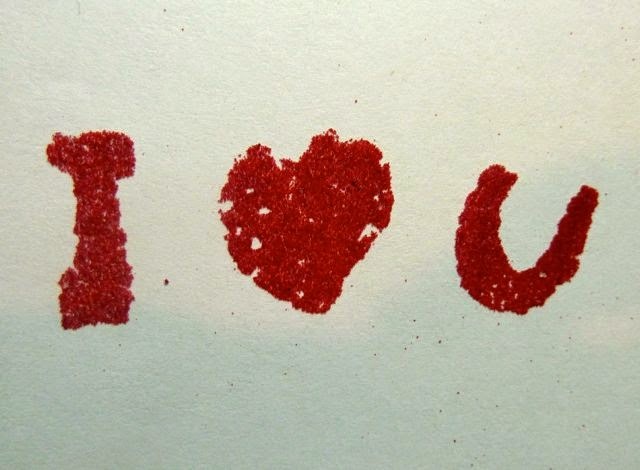 To emboss use an embossing stamp. 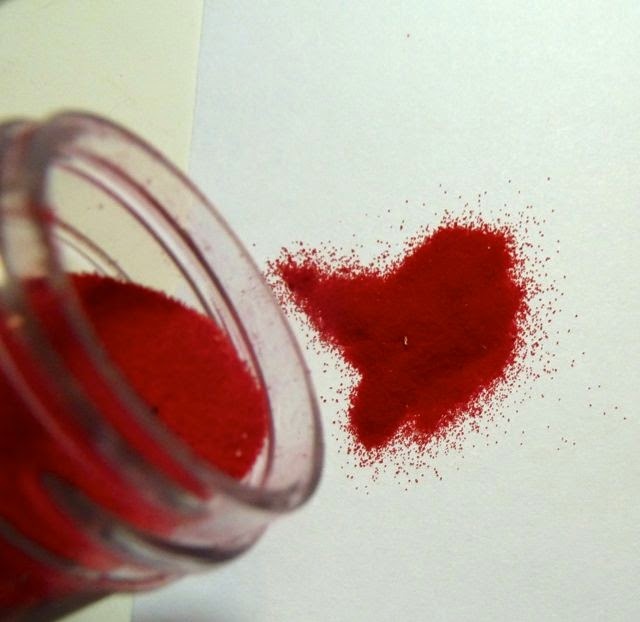 Sprinkle on desired embossing powder. 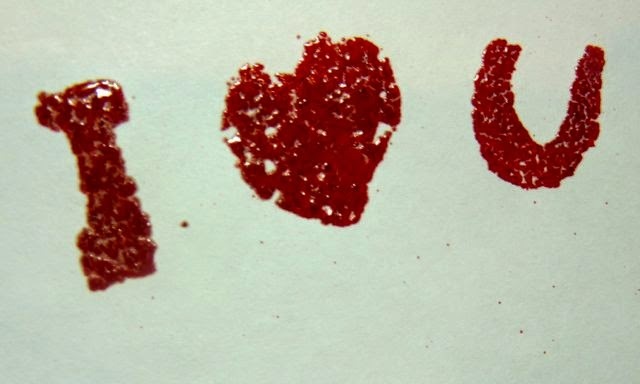 Tap off he excess powder and use a heat gun to set it. 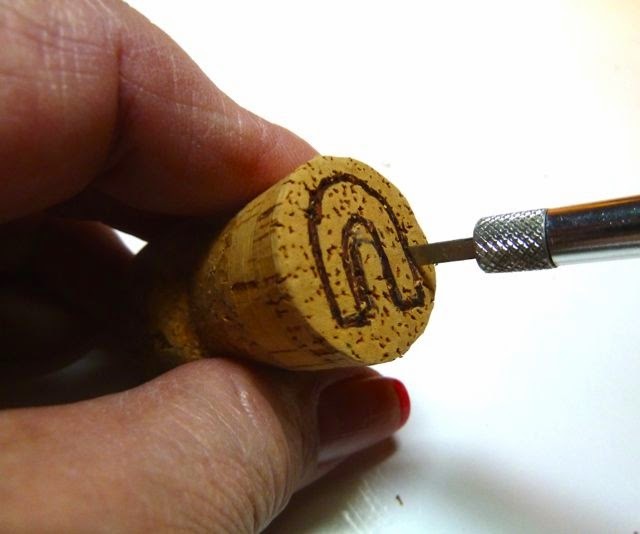 Another technique is to stamp with gold or silver. Then use a fine line sharpie marker to outline all around with dashes and dots. Oh, this is great! 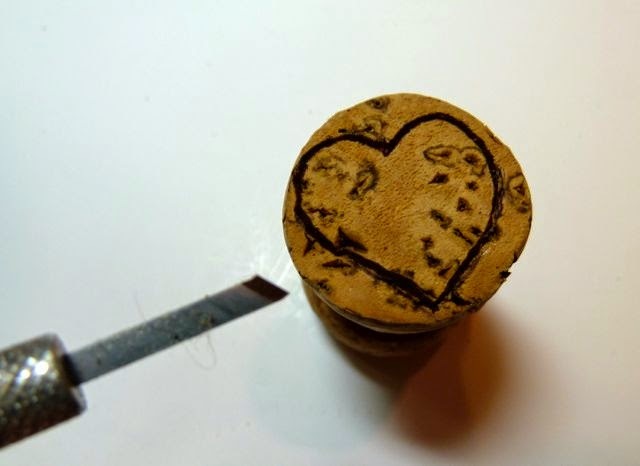 I have never cut cork before, but hope I can manage to cut a heart shape and those letters! Such a simple idea that really came out wonderfully! Thanks for sharing at the corn-free link up at Creating Silver Linings.